The ruling by U.S. District Judge Amy Berman Jackson was another loss for the former Trump campaign chairman, who faces years in prison in two separate criminal cases stemming from special counsel Robert Mueller’s investigation. 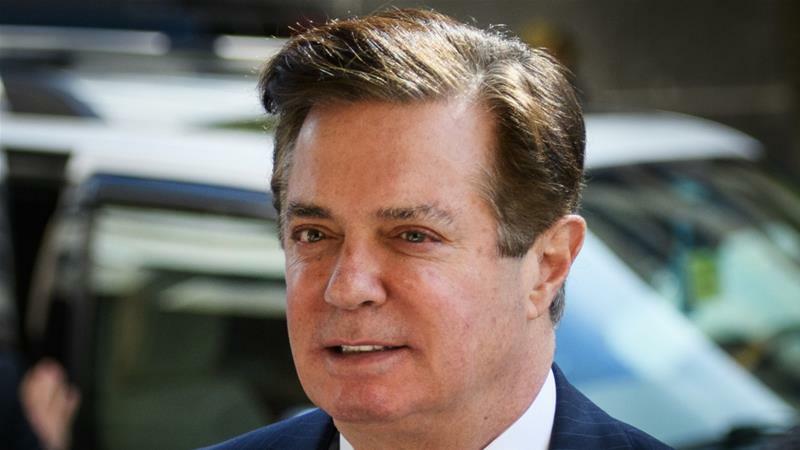 The ruling on Wednesday hurts Manafort’s chance of receiving a reduced sentence, though Jackson said she would decide the exact impact during his sentencing next month. Jackson found there was sufficient evidence to say Manafort broke his plea agreement by lying about three of five matters that prosecutors had singled out. That included his misleading the FBI, prosecutors and a federal grand jury about his interactions with Kilimnik, his co-defendant who the FBI says has ties to Russian intelligence. Kilimnik, who lives in Russia, was charged alongside Manafort with conspiracy and obstruction of justice. He has yet to appear in a U.S. court to face the charges. Last month, Manafort’s lawyers strenuously pushed back against prosecutors in a memo filed under seal before a January 7 deadline – disputing the claim that he intentionally lied despite a deal to cooperate with authorities. But due to an error, it was possible to read the memo in its entirety – including redacted material – when it was posted on a court web site. The former Trump campaign chair also ‘conceded’ that he had discussed a Ukraine peace plan with Kilimnik. The filing is the first disclosure of prosecutors going after Manafort, who chaired Trump’s campaign while he wrapped up the Republican nomination for president, for passing campaign information to a Russian contact. Mueller’s probe continues to probe possible collusion between Trump campaign officials and Russians. Last month, the special counsel got a six-month extension for a federal grand jury. One passage in the January filing reveals Manafort lawyer Kevin Downing arguing that it was difficult for his client to remember things about Ukraine during the busy campaign season when he was among Trump’s top advisors. ‘Issues and communications related to Ukrainian political events simply were not at the forefront of Mr. Manafort’s mind during the period at issue and it is not surprising at all that Mr. Manafort was unable to recall specific details prior to having his recollection refreshed,’ according to the blacked out material in the memo. They extended that argument to Manafort’s contacts with Kilimnik, a Russian national and an individual whom Mueller has identified as having ties to a Russian intelligence service. ‘The same is true with regard to the Government’s allegation that Mr. Manafort lied about sharing polling data with Mr. Kilimnik related to the 2016 presidential campaign,’ according to the Manafort filing. It provided no further information about what campaign polling he shared, or whether it was internal Trump campaign data. Previously reported emails reveal Manafort touting his status in the campaign orbit and his desire to become ‘whole’ with debtors and a Russian oligarch who claimed Manafort owed him millions. ‘How do we use to get whole,’ Manafort wrote Kilimnik days before he was named a Trump campaign strategist. Legal experts blame Manafort’s attorneys for the redaction failure. His lawyers apparently submitted the document as a PDF file that did not properly obscure information that revealed potentially damaging information about their client. But then the memo reveals another substantive dispute: what Manafort knew about a Ukrainian peace proposal that longtime Trump lawyer Michael Cohen eventually would hand-deliver to the White House early in the Trump administration. Manafort and Kilimnik ‘may’ have discussed the peace plan ‘on more than one occasion,’ according to one portion that was meant to be blacked out. The peace proposal was an effort by the non-diplomats to respond to the Russian invasion of Ukrainian territory, while also dealing with sanctions that were gnawing at leading Russian figures. ‘In fact, during a proffer meeting held with the Special Counsel on September 11, 2018, Mr. Manafort explained to the Government attorneys and investigators that he would have given the Ukrainian peace plan more thought, had the issue not been raised during the period he was engaged with work related to the presidential campaign,’ according to a blacked-out portion. The argument suggests that Manafort neglected to mention it when being questioned about it directly while negotiating the terms of his cooperation deal weeks after he was convicted on eight counts of bank fraud and tax charges. ‘Issues and communications related to Ukrainian political events simply were not at the forefront of Mr. Manafort’s mind during the period at issue and it is not surprising at all that Mr. Manafort was unable to recall specific details prior to having his recollection refreshed,’ his lawyers continued. The filing cites another document and notes: ‘After being shown documents, Mr. Manafort “conceded” that he discussed or may have discussed a Ukraine peace plan with Mr. Kilimnik on more than one occasion)’. Yet another passage relates to Kilimnik, a Manafort business partner who ran his Ukraine office and is alleged to have been a Russian agent. ‘It is accurate that after the Special Counsel shared evidence regarding Mr. Manafort’s meetings and communications with Konstantin Kilimnik with him, Mr. Manafort recalled that he had – or may have had – some additional meetings or communications with Mr. Kilimnik that he had not initially remembered,’ his lawyers concede in the filing. When his memory got refreshed, Manafort acknowledged meeting him overseas. ‘After being told that Mr. Kilimnik had traveled to Madrid on the same day that Mr. Manafort was in Madrid, Mr. Manafort “acknowledged” that he and Mr. Kilimnik met while they were both in Madrid,’ according to material intended to be redacted. That meeting between Manafort and Kilimnik hadn’t been previously been made public. Manafort recalled ‘some additional meetings or communications with Mr. Kilimnik that he had not initially remembered’ his lawyer acknowledged. The Ukraine peace plan, which would have paved the way for the lifting of sanctions on Russia, made it to the desk of former National Security Advisor Mike Flynn, who was fired after lying about his Russia contacts, and who is cooperating with the Mueller probe. Cohen also is assisting prosecutors. Also involved was Felix Sater, a former senior advisor to Trump at the Trump Organization who was also revealed to have pitched his ability to help line up a Trump tower project in Moscow during the campaign. Manafort’s lawyers argue that he has indeed been helpful. ‘He attempted to live up to the requirements of his cooperation agreement and provided meaningful cooperation relating to several key areas under current government investigation,’ they write. His lawyers in the memo state that they are declining to seek a hearing, noting the ‘highly deferential standard’ on the government’s side. The filing says any factual disputes can be handled during Manafort’s sentencing.